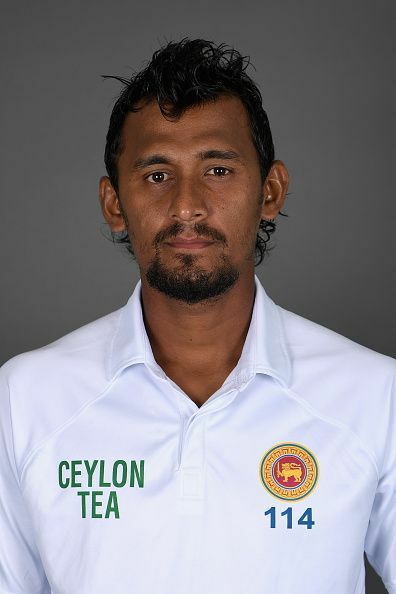 Suranga lakmal is a right-arm medium-fast bowler and right-handed batsman, playing for the Sri Lankan national side. He was born on 10 March 1987 at Matara, Sri Lanka. Lakmal became the third bowler to take a wicket with the first ball bowled in a test match at a new venue by dismissing Chris Gayle of West Indies. Suranga Lakmal started his cricket career at Debarawewa Central College where he was spotted by Sri Lanka Cricket fast bowling coaches. Later, he played his senior school cricket at Richmond College. In 2007, he joined Tamil Union Cricket and Athletic Club where his progress was closely monitored by coaches and was inducted into the academy and this made him get into the national team. By observing this consistent progress, he was selected to join the national cricket team. On 18 December 2009, Lakmal made his ODI debut against India at Nagpur. In his debut match he failed to take even a single wicket, he bowled eight wicketless overs for 58 runs. In his second game, he impressed everyone by taking two major wickets of Sachin Tendulkar and Virender Sehwag, but failed to impress in the next games and was sent back to domestic cricket to improve on his bowling. On November 23, 2010, Lakmal made his Test debut against West Indies at R. Premadasa Stadium and became the 114th Sri Lankan Test player. Lakmal has listed himself in some interesting records. He is the first player to represent Sri Lankan national cricket team from the Hambantota district. He also joined an elite group comprising of Kapil Dev and Imran Khan by taking a wicket with the first ball bowled in a test match where he dismissed Chris Gayle of West Indies.